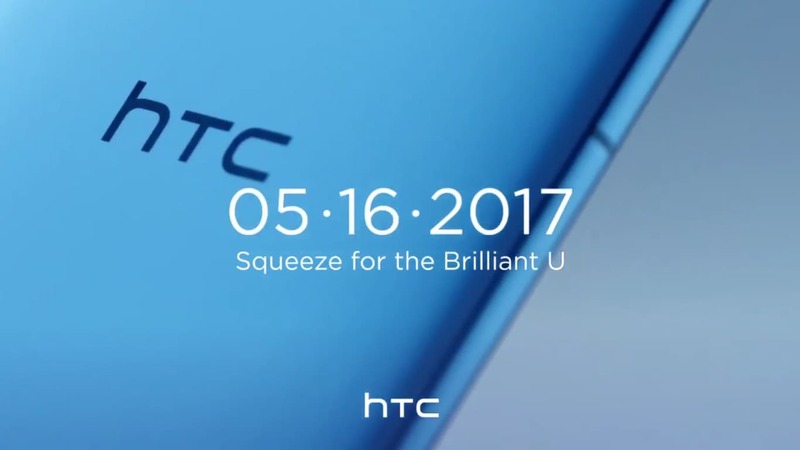 HTC U11, the smartphone which has already been in the news for its 'squeezable' gesture feature, has again made its appearance when the company, today, unveiled its latest teaser. The smartphone is now rumored to support 360-degree real-life recording which hints towards the advanced optics of the device. This rumor has been recently confirmed by the company in their official tweet via their latest video teaser. Though numerous leaks have earlier suggested that HTC U11 will only sport a 12 MP rear camera, the latest teaser overwrites that myth and now hints towards the presence of a superior camera with wide lens technology. HTC U11 is rumored to have a 5.5-inch QHD display with IP 57 certification which ensures the resistivity of the device against scratch and dust. A Snapdragon 835 SoC is what is expected with 4GB of RAM and 64 GB of ROM to be present inside this device. Tipsters have also suggested that a premium version with 6 GB of RAM and 128 GB of internal memory might also feature side by side with the 4 GB variant. Apart from that, the smartphone will come with the all new Android Nougat 7.1.1 OS and several other enhanced UI features. One of them being the squeezable gesture feature which will allow the user to access applications just by squeezing the smartphone. This has been made possible because of the Edge Sense technology, which is for the first time will feature in the HTC U11 devices. HTC smartphones are always known for their enhanced optics and clear sound features. This device was earlier rumored to have 12 MP rear and a 16 MP front camera, but now more features are expected to come bundled with it because of the 360 video teaser. In the audio department, the smartphone is expected to support Hi-Res Audio and might also feature HTC Boom Sound and Active Noise Cancellation technology. Connectivity features will include a dual-band Wi-Fi, GPS, 4G LTE, Bluetooth 5.0, NFC and USB 3.1 C tethering technology. The phone will also have a fingerprint sensor combined with its home button which will serve in implementing security features. It will be powered by a 3000 mAh non-removable battery with Quick Charge 3.0 support and might support proper heat sinking as well. Hence, as it sounds, HTC U11 might be the next big thing after the Samsung’s Galaxy S8. The new squeezable Gesture feature, Edge Sense Technology, 360-degree real life recording, Android Nougat, etc. are enough to provide it the necessary hype to make it to the news and inside the mind of the people. However, only time will tell how this device manages to make it after it gets launched on 16th of May, 2017 worldwide.